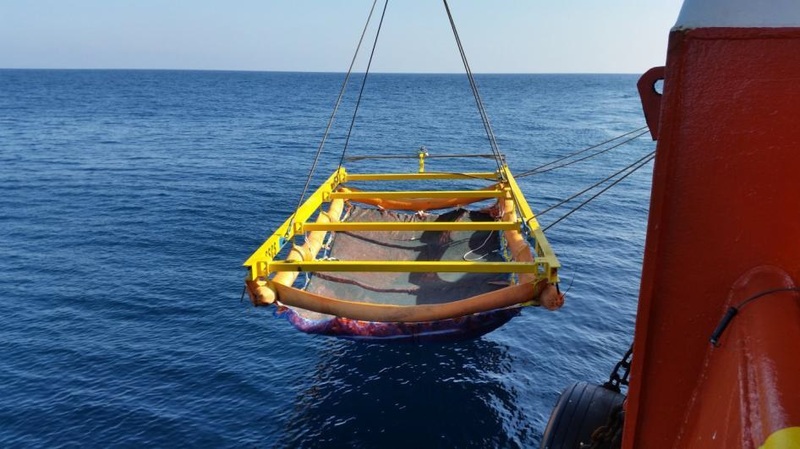 The SSCS Frond Mats are used to provide planned and preventative scour protection for new subsea installations and to rectify scour encountered at existing facilties and provide the only permanent solution to scour available today. SSCS has been approved to ISO 9001 2008 by Lloyds Register Quality Assurance Ltd. The SSCS Frond Mats have also received DNV approval for use at Offshore Wind Farm sites. With over 30 years experience our Frond solutions are designed by our own engineers and based on real life experience of use in the field. With the first SSCS Frond Mats being installed in the Southern North Sea in 1984 remaining in place today and requiring no maintenance since being deployed, we are confident that we can provide a permanent solution for your scour prevention or rectification requirement. View our Worldwide Locations map below for more information on some of our global projects. 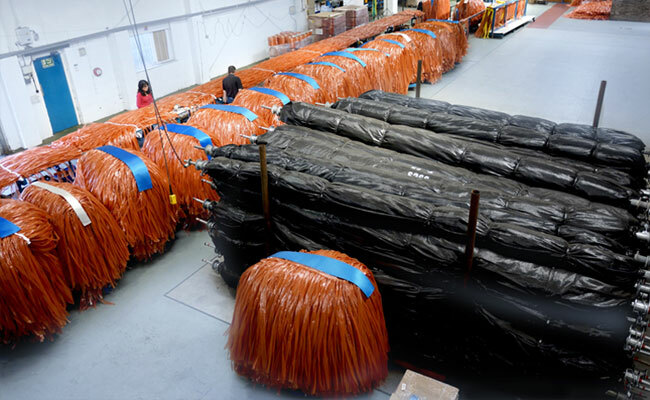 The SSCS Frond System comprises continuous lines of overlapping buoyant polypropylene Fronds that, when activated, create a viscous drag barrier that significantly reduces current velocity. 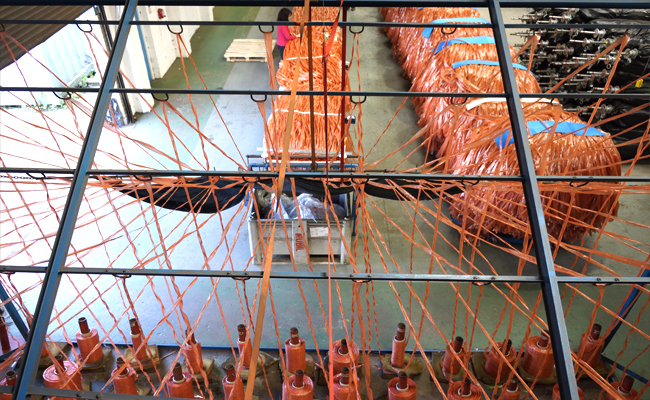 The frond lines are secured to a polyester webbing mesh base that is itself secured to the seabed by a weighted perimeter or anchors pre-attached to the mesh base by polyester webbing lines. The action of reducing current velocity immediately prevents seabed sediment in the immediate area of the Fronds from being transported i.e. ‘scoured out’, and causes sediment transported across the Fronded area to fall into, and collect, within the fronds. We hold stock of two standard types of Frond Mat: Anchor Retained Frond Mats which are held into position by a series of anchors which are driven into the seabed or riverbed by divers; and Weighted Frond Mats which are held into position by weighted edges around the perimeter of the Mat and are installed using an SSCS Installation Frame removing the necessity for diver intervention. Our standard Mat installation options keep the process unique any easy to install. We have developed anchor systems which can be installed with or without ROV or diver supervision depending on project requirements and site conditions. As the Mats are fully adaptable they can also be designed for client specified installation methods including pre-attachment to subsea structures, for example. 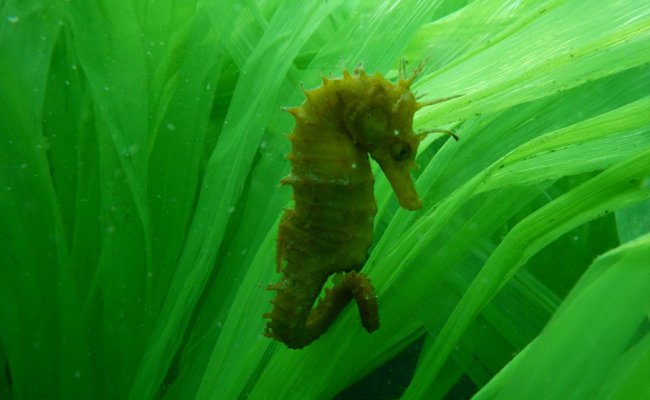 Our Frond Mats have been found in various studies to be beneficial not only to subsea structures but also the natural habitat. Once established, within a very short time the Fronded area becomes the perfect home for a variety of sea creatures. Specially designed Mats can also be manufactured to meet requirements such as defined structural geometrical arrangements, to enable accessibility at sites otherwise deemed inaccessible and to meet the demands of extreme environmental conditions. • Desk Top Review and Analysis of Site Survey Data. • Assessment of Site Scour Susceptibility. • Scour Protection and Rectification Recommendations. These can incorporate an analysis of Site Soils and Metocean conditions, a determination of the Site Susceptibility to Scour, the extent and rate of Scour development, its impact on planned and existing subsea installations and recommendations for Scour Rectification and Permanent Scour Protection. The above are our approx. project locations plotted on Google Maps, if you would like to find out more about our Projects please visit our Projects Page. Seabed soil types and a combination of current, tidal and wave forces combine to create an environment which leads to seabed sediment being lifted and transported. The result is the natural depletion of soil in one area and its aggradation in another. This natural occurrence known as scour, or erosion, is exacerbated when objects are placed on the seabed, such as pipelines, platforms, protection structures, umbilicals and cables. Any fixed subsea installation will disrupt tidal flow, causing the current to first decelerate in advance of it then accelerate beyond it, to form vortices and eddies which cause sediment to be scoured, i.e. lifted from the seabed and transported. Reversed tidal flows will cause scour to develop significantly on all sides of the installation to form steep sided scour pits, and in the case of pipelines, cables and umbilicals, beneath them, to cause free spanning. Shallower ripples and wider depressions can also form beneath and extend to some distance from the installation. This is referred to as global scour and can impact on an individual installation or form through interaction between adjacent installations. The SSCS Frond System comprises continuous lines of overlapping buoyant polypropylene fronds that when activated create a viscous drag barrier that significantly reduces current velocity. The frond lines are secured to a polyester webbing mesh base that is itself secured to the seabed by anchors pre-attached to the mesh base by polyester webbing lines. By reducing current flow the SSCS Frond Systems prevent scour from occurring and rectify scour by reversing the effects that cause it. A planned and selective deployment of the Frond Systems will immediately prevent and remedy scour, and provide permanent scour protection. The following photographs, courtesy of Shell UK Exploration & Production Ltd prove and demonstrate the effectiveness of the SSCS Frond Systems. The originally installed Frond Mats have now been in place at this Shell site for some 23 years and continue to provide protection. 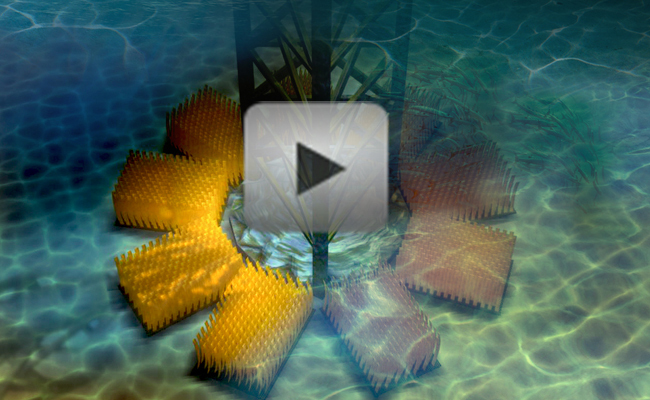 The above CGI video demonstrates how the SSCS Frond Mats prevent scour permanently and the installation methods for the Frond Mats we hold in stock. Once activated the SSCS Frond Systems immediately create viscous drag and reduce current velocity and turbulence at the installation site eliminating both the conditions which create scour and the mass transportation of sediment. The Frond Systems offer an immediate and effective “soft” solution, in that they are environmentally approved and do not present the hard, hydro-dynamically unstable, edge presented by other methods and therefore do not create edge scour. Other methods such as rock dumping and/or the deployment of sand/gravel bags alone and concrete only mattresses only, increase the profile of the structure, pipeline or cable and create edge scour which results in settlement, sinkage, costly maintenance, and secondary scour. Rock has been found to sink to the first impermeable layer in the seabed; that sand and grout bags alone have been washed away; and that concrete only mattresses have been both washed away and left suspended on, or at, the installation they were intended to protect. Impact loads are dissipated throughout the progressively reinforced energy absorbing sediment bank which forms in the fronds and which, compacted by tidal flow during its formation, is more dense than the surrounding seabed. The installation time for each Frond Mat is approx: 20 minutes from deployment at the surface to completion of installation on the seabed. The Frond Systems have been installed by all major diving installation contractors. Therefore diver installation experience and competence is well established. Installation of the SSCS Frond Mats can be carried out from a relatively inexpensive support vessel ,while the Fronded Concrete Mattresses can be installed either with diver assistance or with the use of a competent work class ROV. The costs of installation of both Systems are considerably lower than those associated with other methods. The sediment sandbank contours flow and blend into the seabed in a hydro-dynamically acceptable shape and can create a Natural Habitat for Marine Life. All Scour Control Systems designed, manufactured and supplied by SSCS are proven to be environmentally acceptable, and have been installed in the some of the most environmentally sensitive locations in the world.